How do you know if something is really clean? Do you know where are the ‘hot spots’ for germs in your office? We short list some of our own cleaning tips and tricks, that we use while cleaning the offices of our clients in London, that you may not know about us! Wherever possible we always use micro-fibre cleaning cloths so we can avoid the use of harmful detergents and chemicals. Dirt cannot resist the little fibres – clinging to the cloth like magnets. So if your company is interested in caring for the planet as well as the workplace, please do get in touch! This sentiment is not true, despite what your mother may have always told you! Workplace and office kitchens are the worst offending spaces for harbouring and rapidly transferring germs. This can be costly when a percentage of a workforce goes sick. We understand this and therefore leave no surface untouched when it comes to providing a safe and clean environment for your staff. Our steam clean system is highly effective, ensuring surfaces are left both sanitised and clean. Steam cleaning also ensures deep in the cracks and cervices of a surface are not left untouched. We offer a number of different maintenance programmes for carpet, wood, marble or tile, ensuring your floors are always left presentable and clean. Top Cleaning Tip Number 4 – Where are the hot spots? Did you know that any surface with an ATP count (the amount of actively growing microorganisms) of 300 or over should be treated? We do. The most common places in offices for these counts are: staff microwaves, computer keyboards and mice, break room facilities and vending machine buttons; But never fear, the London Office Cleaning Company are here and we know just what to do. We offer a multitude of services for these hot spots including: computer/PC cleaning, telephone sanitisation, kitchen degreasing and complete restroom sanitisation. We aim to provide the cleanest and safest equipment. Our machines and equipment are maintained and sanitised to the highest standards, so you can be sure you receive the best results. Denis Sansome is Director of The London Office Cleaning Company. For more information on the services provided please feel free to contact Denis at ds@tlocc.co.uk or call 01707 629 279. 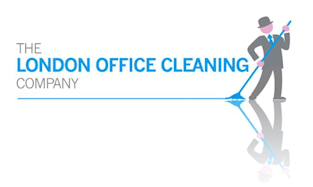 ← Is Your London Office Crying Out For A Deep Clean?